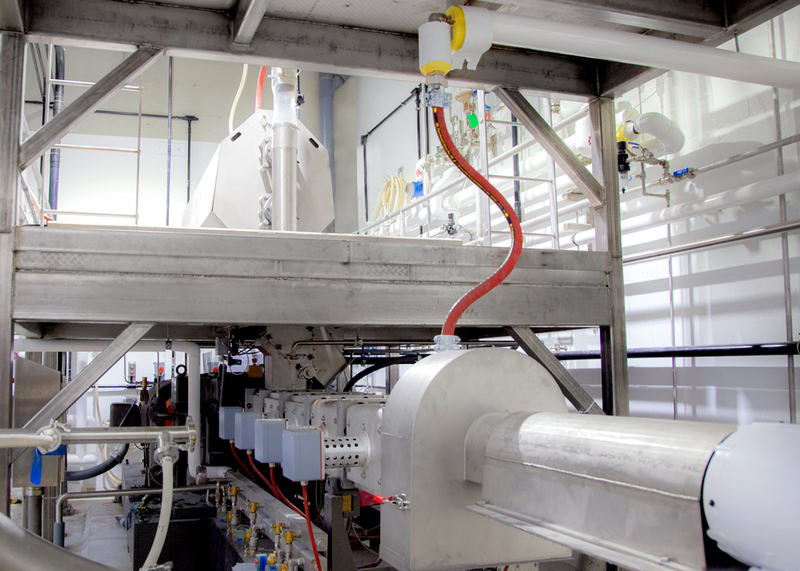 As a leading food manufacturer, PacMoore takes gluten-free food processing very seriously. As part of our comprehensive specialty food services, PacMoore is committed to public safety and offers high-quality, reliable gluten-free food manufacturing services. From processing to handling and storage, we ensure that your product meets the highest food safety standards. Below, learn more about the level of care and detail we offer when it comes to gluten-free food products and find out why customers trust PacMoore with all their specialty food needs. Gluten has taken on a higher profile in recent years as complications related to exposure are better understood. Gluten is a protein composite found in all grains. For people with celiac disease (1 percent of the U.S. population), the briefest exposure to gluten can trigger an immune reaction, but nearly 20 million people contend that they regularly experience distress after eating products that contain gluten, and one-third of American adults say that they are trying to eliminate it from their diets. For food manufacturers, this poses the challenge of potential contamination during manufacturing and handling. Food products that have been certified gluten-free let consumers know that the product has been tested, and the manufacturing and packaging site inspected for processes or ingredients that may contain gluten. The PacMoore process ensures that food products certified as gluten-free are safe for those with gluten allergies. During the food-processing stage, gluten can be extracted via a process of milling and washing out starch. In the process, gluten sediment can be flushed from the product. One of the challenges of protecting the integrity of gluten-free products is proper handling. Food products classified as gluten-free must be carefully handled and packaged so that they are not contaminated by other food products containing gluten. Gluten-free food storage must be done carefully to further protect the products from contamination. At PacMoore, our knowledge of specialty food packaging allows us to safely process and handle gluten-free food products from start to finish. With PacMoore, you can trust that your food products are always in good hands. Our custom approach to food processing and packaging makes us the obvious choice for gluten-free food services. PacMoore is a trusted partner for customers demanding high quality. We have the facilities, equipment and wealth of expertise to ensure we meet the high standards of gluten-free food production. PacMoore is certified to handle and process gluten-free raw materials and products by the Gluten-Free Certification Organization (GFCO). In addition to this general certification, PacMoore has established receiving protocols to verify inbound products are gluten free and quality management systems to ensure that the gluten-free status of products is maintained through processing, packaging and shipping. PacMoore also has the ability to tailor our food-processing steps to customer requirements as long as they are compliant with the scope of our gluten-free certification. To learn more about our offerings in gluten-free processing and packaging, or to hear more about our general specialty food services, contact PacMoore today.